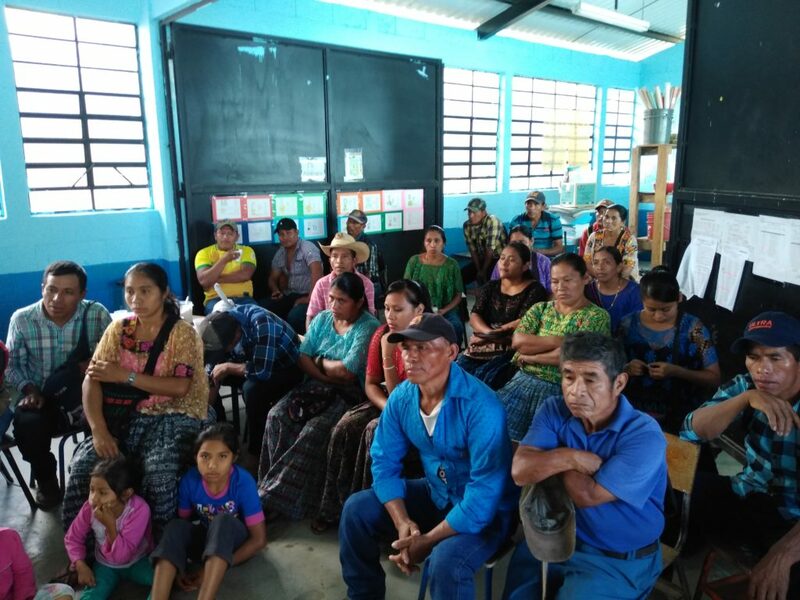 SID has begun applying the regional approach with 18,380 coffee-growing families in Alta Verapaz, Guatemala’s poorest department. Coffee is the major cash crop, and farmers produce high-quality coffee. They are poor because they have low productivity and sell their un-husked coffee to local buyers rather than husk and sell it directly to exporters. 13,785 coffee-growing families (75% of the 18,380) know the practices that conserve mountainside land and increase productivity, price, and income. 6,893 farm families (half of the 13,785) adopt at least 2 conservation practices, 2 productivity practices, and husk a portion of their harvest. 3,000 families that pay a modest amount to promoters for twice-monthly assistance increase income from $200 to $700 a year and control erosion on 221 hectares of land. The first three activities provide knowledge of the practices and motivation to adopt them. The fourth is a market-based approach to technical assistance in adopting them. We have begun the first three activities and we are beginning the fourth in March 2019. 1. 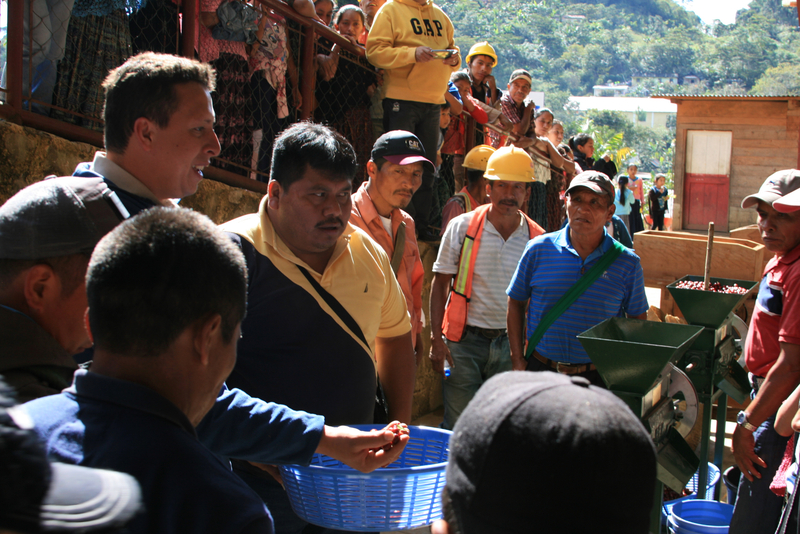 Farmers define the practices they need to adopt in order to increase their income from coffee. In November and December 2018, 676 farmers from 183 rural communities met in each of the three municipalities and defined the practices they need to adopt in order to increase their productivity and price from coffee, conserve their mountainside land, and improve their business decisions. Agricultural and environmental technicians were present to assist them. This created immediate knowledge of the practices and distinguished them for other farmers. 2. Municipal officials, rural radios, primary school teachers in monthly PTA meetings, and other NGOs broadcast knowledge of the practices and encourage their adoption. In November and December 2018 program partners in each municipality agreed to use their existing opportunities and resources to create widespread knowledge of the practices defined in Activity 1. SID provided simple educational materials and support for this activity. 3. SID conducts demonstration fairs in the practices in centrally located communities. Farming and conservation practices are adopted by dry, rainy, and harvest season, and the fairs demonstrate the practices most appropriate for each season. In addition, the fairs include assistance in making business plans. The harvest season is from December to March, and in January 2019, SID’s staff launched a series of fairs that demonstrate husking and drying coffee for sale directly to exporters for a higher price. 4. SID trains and supervises promoters for communities that choose a market-based option for agricultural extension. Farmers qualify for this option by selecting two promoters (man and woman) and agree to pay fees directly to them for twice-monthly extension in the practices. SID has launched a call for proposals for communities that select this option. We will begin the review of proposals in early March 2019 and select the communities and begin this activity shortly thereafter. COPYRIGHT 2018 SID, ALL RIGHTs RESERVED.